We board both mares and youngstock, and have a separate farm which is dedicated to rearing and producing strong, well developed individuals. When ready, they are then prepared for the sales or to start their education under the saddle. Over 60 mares for both disciplines board at Mickley Stud, and we advise owners and breeders on fertility, choice of mating and we will also arrange all necessary paperwork and transport for mares visiting an outside stallion. 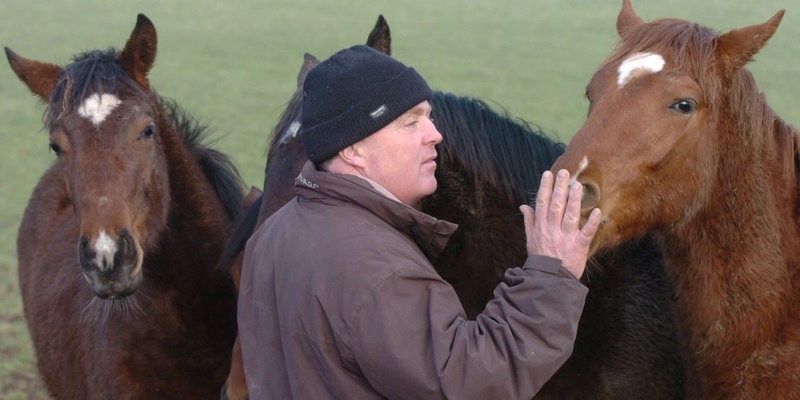 We are fortunate to be able to call on the expertise of our fertility vet, John Newcombe, who visits us several times each week, and who is able to determine the optimum time for a mare to be covered. We also have a dedicated Night Nurse who observes all the expecting mares in the foaling shed throughout the night, and is on hand to assist during foaling, and Richard is always on call, should a difficult foaling present itself. Laura Smith and colleagues from Nantwich Veterinary Group also provide a 24 hr call out service, so our veterinary team is second to none. She visits daily during the stud season and checks all new-borns bloods, and that the mares have cleansed thoroughly.